Kanakia Zen World: Your new world of luxury and comfort encompassed with peace and serenity await you! Mumbai is a beautiful city in the state of Maharashtra that many want to be a part of. Once you step into this glamorous city, you will never want to step out! Today, Mumbai is one of the most loved cities in the country. 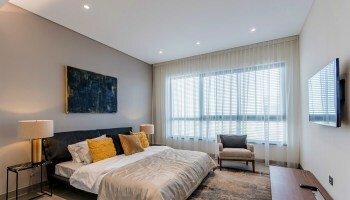 The real estate sector in Mumbai is booming today with a number of residential and commercial projects in different parts of the city and its outskirts as well. 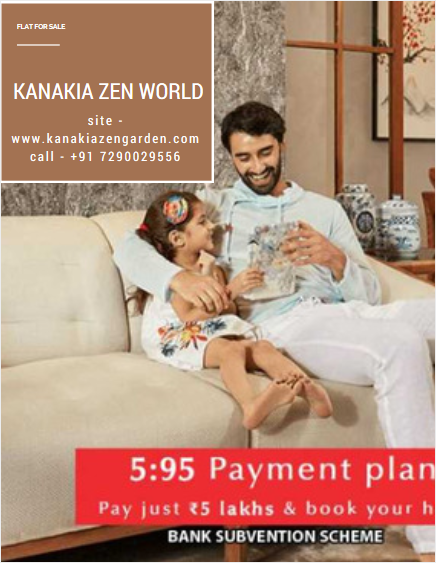 Kanakia Zen World is a new residential project in Mumbai by Kanakia Group that offers the highest level of luxury, peace and serenity for a place you can truly call home’. 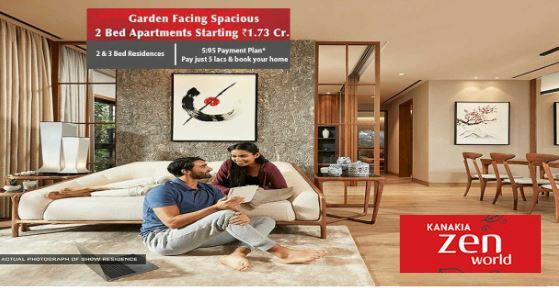 Extended over vast acres of land, this residential development consists of 6 iconic towers (G +22) that offer 1BHK, 2BHK as well as 3BHK luxury apartments of different configurations that are designed to delight! The apartments carpet areas start at 418 sq. ft. and go up to a beautiful 839 sq. 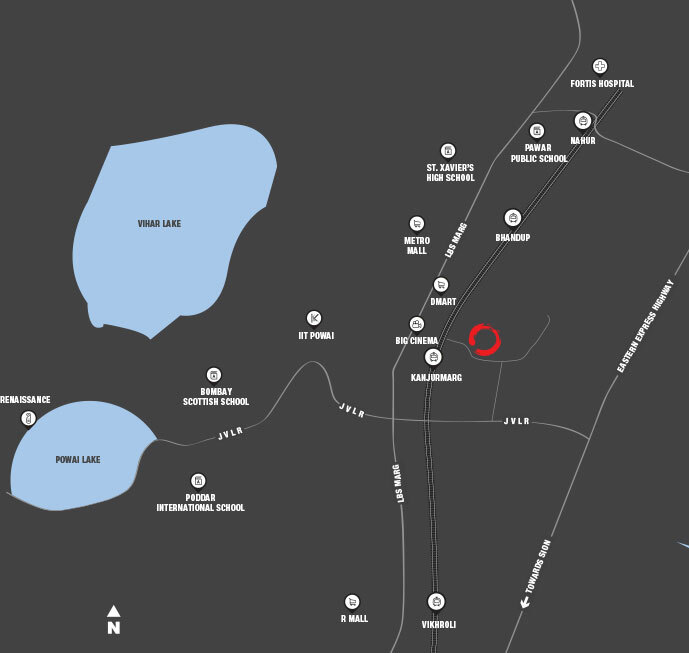 ft., providing ample luxury space to meet every requirement and need. This residential development is your oasis of premium luxury and a life of eternal bliss!The apartments are spacious, provide cross ventilation, natural lighting and contain splendid fittings & fixtures, superior flooring in every room, decorative doors, large balconies and windows providing mesmerising views, high-quality electrical fittings located perfectly for easy access, fancy kitchens with premium counters and multiple provisions, hi-tech safety features and the list goes on.This development also offer you a fabulous range of world-class external amenities that will take your breath away! The external amenities at this development include a thematic clubhouse for recreation, well-equipped gymnasium, swimming pool, spa, meditation and yoga centre, theatre, multipurpose hall, efficient car parking, gorgeous landscape garden, sit-outs for you to spend time with your loved ones, wide open greens that will always make you feel free, 24hour water supply, power back-up for emergencies and well-trained security. With something special for your and every member of your family, this residential development lets you live every moment of life and cherish it for a lifetime! Located at Kanjurmarg in Central Mumbai, Kanakia Zen World Kanjurmarg has all of your daily and emergency landmarks in close proximity and offers a life of convenience that will truly please you and every member of your family. Places like schools, colleges, institutes, banks, ATMs, medical centres, supermarkets, convenience stores, shopping centres, malls, restaurants, clubs, pubs, cafes, cinemas, public transport and a lot more can be accessed without worrying about long-distance journeys. 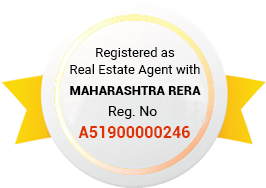 Starting at an incredible price of Rs.89.90 lakhs and moving up to Rs.1.76 lakhs, Property in Kanjurmarg is affordable and worth every penny spent. May it be a new home or an investment for that matter, an apartment at this development will definitely keep you happy and satisfied. You can choose from a number of payment plans along with home loan facilities through associated banks, NRI services, customer support and a lot more for a hassle-free buy. Book your apartment today and experience a life of peace and serenity each day!